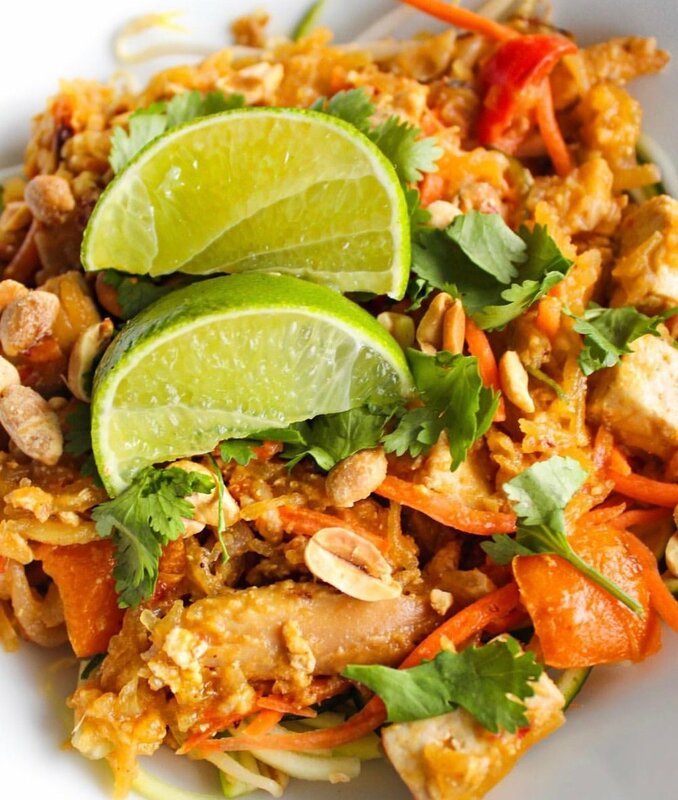 There is nothing better than a big plate of delicious Pad Thai! Lauren killed it with this version made from Spaghetti Squash and a bunch of other goodness! Definitley give this recipe a try next time you are craving some Thai food! Optional* extra protein of choice (I added some pre-cooked chicken!) . Add the ingredients for the sauce together in a small bowl & set aside. Heat the coconut oil in a large saucepan over medium high heat & add the peppers & onion, cook until fragrant & soft- about 5-7 mins. Add your tofu & extra protein if using, as well as the carrots & cook for a few more minutes. Then add the egg whites & egg & scramble with the other ingredients in the pan. I then added the bean sprouts, sauce, zucchini & spaghetti squash to the pan with about 1/4 cup of water (you can add or or less depending on the consistency you want for your pad Thai!). Turn the heat to medium/low & cook for a few minutes. When the zoodles are cooked & it's all heated up together remove from heat & serve with desired toppings! I love roasted peanuts, tons of cilantro & fresh lime!